Batte Machinery Zhengzhou Co., Ltd. Address: No.11 Changchun Road, High & New Technology Development Zone, Zhengzhou, China. 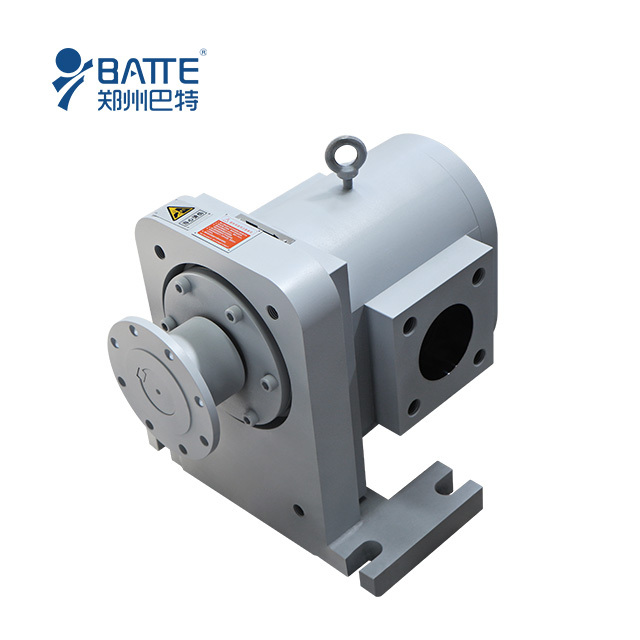 As an alternative to the well known systems, stuffing box and coupling seal, all of Batte gear spinning pumps can also be equipped with the polymer seal, which, essentially, consists of a sealing bushing with feed thread. 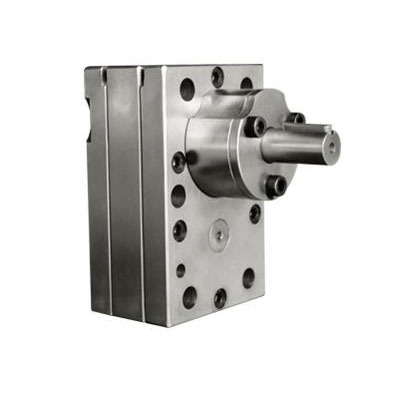 The rotation of the pump drive shaft generates resistance in the feed thread which, in turn, acts on the melt pressure in the pump interior. This selt-sealing mechanism ensures low-maintenance operation of spinning pump with minimum wear. The melt spinning pump is among the key components in spinning line. Durability is of utmost important in ensuring consistent yarn quality even after several years in operation. Nevertheless, normal wear is unavoidable. In the case of the standard material the wear of the gear flank becomes visible after longer operation. Alternatively, Batte offers melt spinning pumps made of highly wear-resistant steel, which shows wear only after considerably longer running times. Comparison tests have show that excellent wear performance of standard pumps can be further improved by using components made of wear-resistant steel. 3.Submit successful,we will contact you within 24 hours! Here is our social profile links.